Aug 31, 2010 in "Space Mountain"
As we reported yesterday, Space Mountain is now running with it's brand new audio system, dubbed 'Starry-O-Phonic Sound'. The addition of the audio now completes the major 2009 refurbishment that added new storyline elements, new lighting and darkening effects, updated loading area and queue, new queue interactive games and an on-ride photo system. Unlike Rock 'n' RollerCoaster or Space Mountain in Disneyland or Paris, which use on-board speakers mounted in the train, Space Mountain uses 60 speakers installed "off-board" on the sides of the track. Sound effects and music are timed to play as each train passes. The soundtrack was written specifically for the Magic Kingdom's mountain by composer Mike Brassell. If you would like to hear the audio now before reading the report, head to the bottom of the page. There are really two components to the new audio, the musical score and the sound effects, so we'll look at these separately. The addition of the music certainly changes the mood of the attraction. It feels more lively inside the mountain, and you hear less of the ride system and other riders screams. The music is more of a background sound, and is nowhere near as audible and clear as onboard sound systems as found on Rock 'n' RollerCoaster or Space Mountain in Disneyland or Paris. With it playing on large speakers positioned track-side at comparatively high volume, you do get a "warehouse"-type sound as you might expect, that is full of echo. It gives a background track, but not a synchronized score that is clearly audible, or that precisely fits the actual motion of the rocket. The sound effects are plentiful, and you hear various effects at different locations along the track. These work well as the speakers are positioned at the point where the effects are needed, and it's very audible as the train passes. The sound is quite directional, and that is used to good effect, particularly in the spirals at the end. There is a bit of a sense that both the music and the sound effects are competing against each other, but again, this would seem to primarily be because of the amount of echo and the size of the mountain. It's pretty clear that when Imagineering put the very first synchronized on-board audio system on a rollercoaster with Space Mountain in Paris, they made a big advancement. Comparing the audio system of Magic Kingdom's Space Mountain with the onboard systems, the difference is quite large. The onboard system gives much clearer sound, and becomes much more a part of the experience. 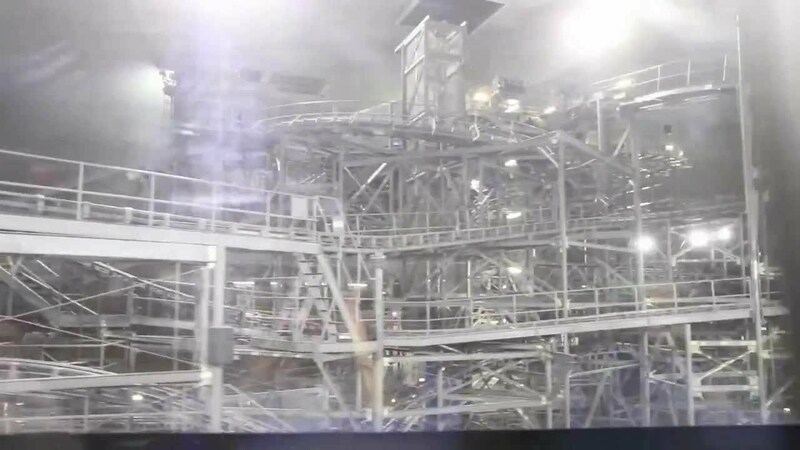 For most guests, the new audio at Space Mountain will be a definite plus, with a feeling of more energy and fun as they blast around that great classic Space Mountain track layout. 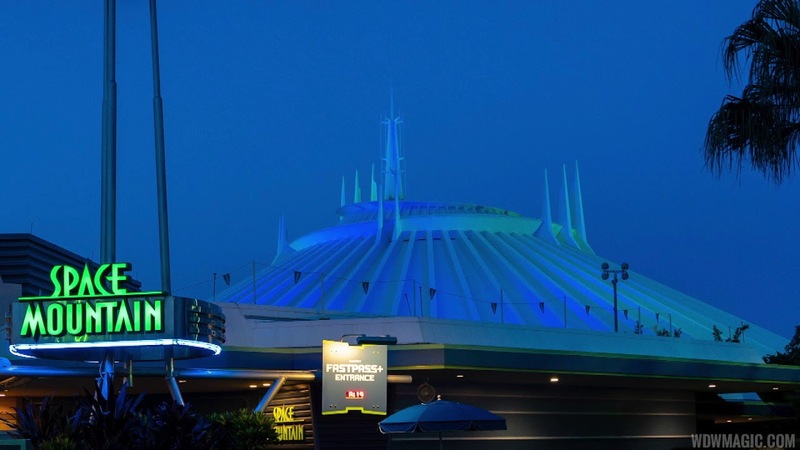 Some of the traditionalists are going to perhaps prefer the silence of space, and then those used to Space Mountain's at Disneyland or Paris are going to consider the sound system to be out-dated by the quality of Imagineering's onboard systems. Let us know what you think of the new addition on our discussion forums. 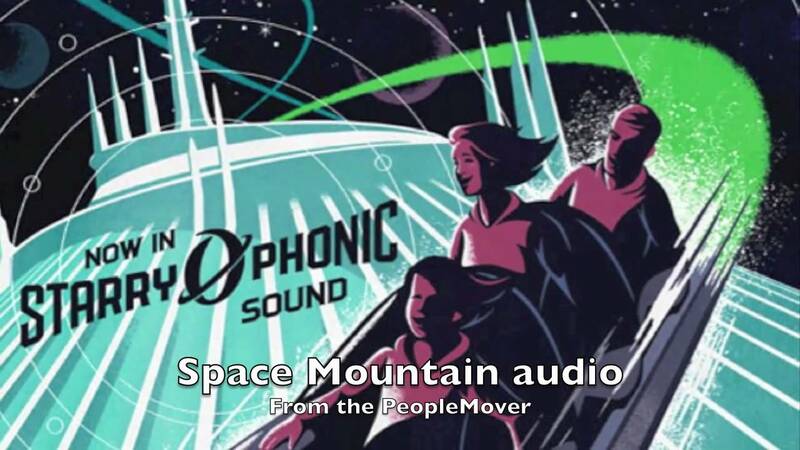 The audio clip below is a recording from inside the rocket, the unload area, and a ride through the mountain on the PeopleMover. It is a reasonably accurate reproduction of how it sounds inside the mountain.